I love the incredible skin care line Skin 2 Skin Care. I have carried it since its inception. 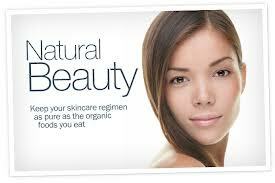 Ken Simpson its creator has a very long track record of formulating skin care lines. Skin 2 Skin Care is an ethical company and takes pride when they say their ingredients are non toxic and carcinogen. When formulating a product they are focused on being effective and only using what is best for the formulation to work properly and safely. Ken spends time with their chemist reviewing new ingredients that come to the market. If it does not conform to the high standards of Skin 2 Skin Care as far as its benefits to the skin and being a healthy ingredient, they will not use it. When continued use of their products, you will see a more clear, firm, even toned skin. The lines will slowly diminish. Perfect for men and women. I highly recommend their products for daily use. For youthful skin, try Skin 2 Skin Care Aging Intervention Cream. It is made with Alpha Lipoic Acid and Dermaxyl, these two components of the intervention cream work in concert to visibly improve the skins appearance by protecting against free radicals while repairing past and preventing future skin problems. This clinically proven face cream boosts hydration which facilitates the skins renewal process which in turn fights, prevents and even reverses the appearance of fine lines and wrinkles. I have heard from my clients that it is also beneficial to help with Eczema. It will help soften, hydrate and heal the skin. One client said it worked when nothing else did. Aging Intervention Cream is an acne preventive and control cream for people who have light, medium bacterium acne problems and acne scaring.